Friday, after Son and I finished lunch, I suddenly got a wild idea. I felt like eating a brownie, and since I don’t buy those kinds of things — to keep myself from eating them — I knew we would have to make them. That’s when I realized I had never made brownies without a box, and the last time I even did that, I was in high school! It’s a good thing Al Gore invented that internet. I quickly found a recipe for homemade brownies here. The only problem? It made 12-16 servings, and anyone that keeps sweets in the house knows that no matter how many you make, they will still be gone before the end of the day. When there are only three of us in the house, it’s best for me to make small batches of all indulgences. So I did what makes sense. I halved the recipe. Now I know that when you halve a baking recipe, it might not work. Luckily, this turned out to be just what I needed. I began with 1/4 cup of butter (that’s half a stick), 1 egg, 1/2 Teaspoon of vanilla, 1/4 cup of flour, 8 Teaspoons of cocoa powder (that’s 2 Tablespoons +2 Teaspoons), 1/2 cup plus 2 Tablespoons sugar, 1/8 Teaspoon salt, and 1/8 Teaspoon baking powder. I melted the butter in a saucepan on the stove, and then removed it from the heat. I stirred in the vanilla and sugar, and then whisked in the egg. 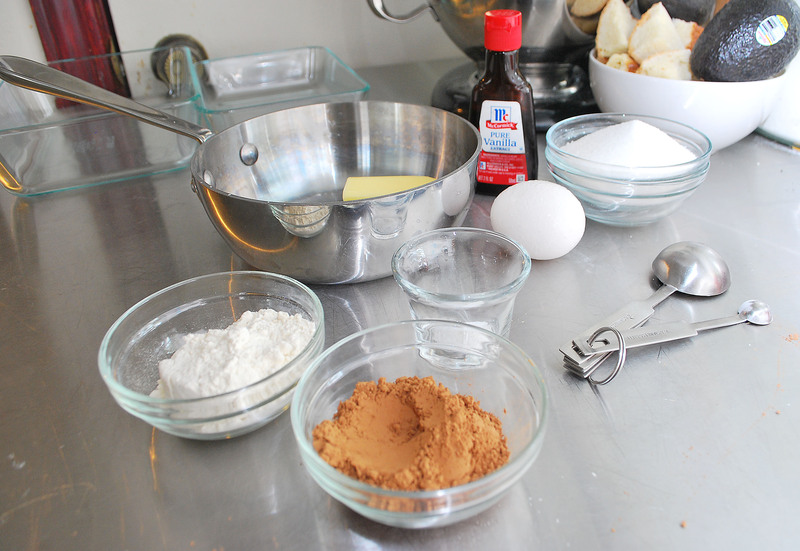 Once the mixture was smooth, I added the remaining ingredients, and stirred until fully combined. When it came time to add my batter to my pan, I had a bit more math to do. You see, most brownie recipes call for a 9″x9″ pan, and since I cut the recipe in half, that just wasn’t going to work. Besides, I don’t think I even own a 9×9 pan. 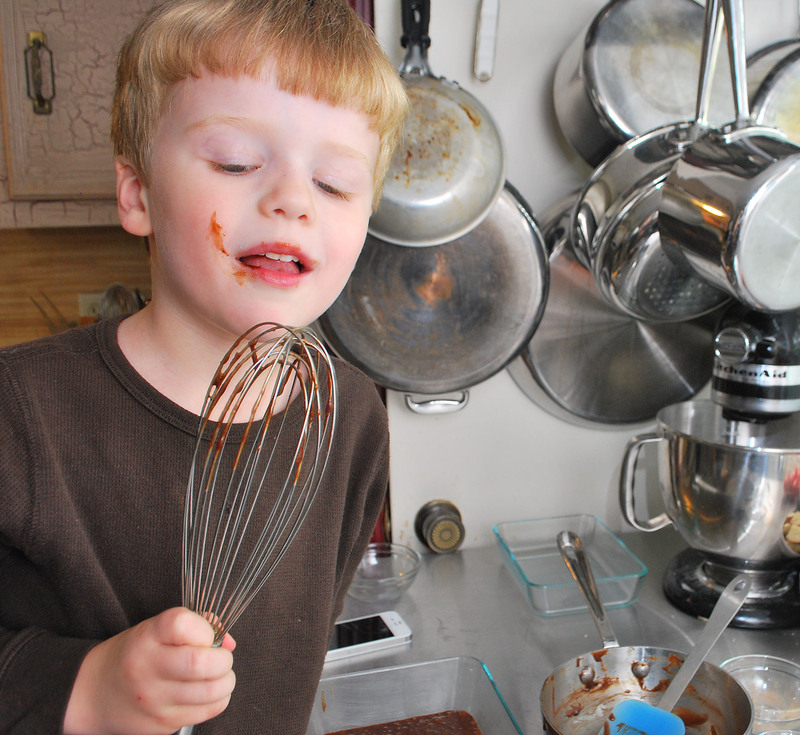 I told you I never make brownies…. Of course, Son immediately voted for the bigger pan, assuming it would make more brownies, but I wanted to do the math. 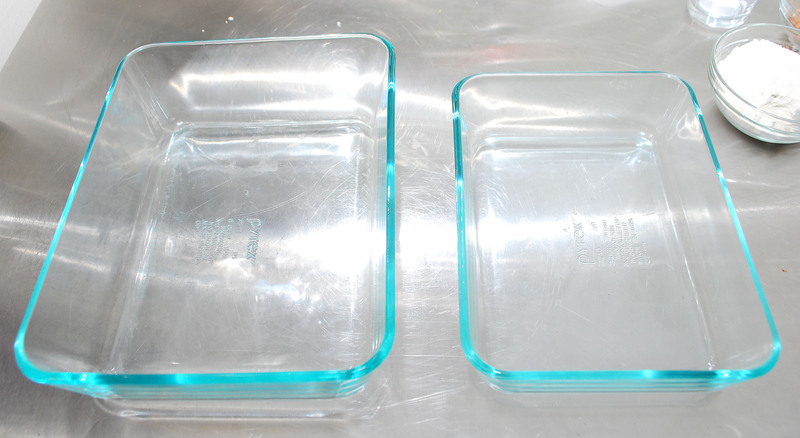 The larger dish was 8×6, giving it an area of 48″, while the smaller was 5×7, making a slight 35″ squared. Since I had never made brownies before, and wasn’t sure of their rise factor, I erred on the side of caution, and went with the larger dish, to Son’s delight. and popped the dish into a 350 degree oven. Now I won’t lie, I was a bit concerned about the cooking time. Would it stay the same? Would it be less? So instead of watching the clock, I went with my nose and the age-old toothpick method. Still, they cooked for nearly the 28 minutes the original recipe called for. So how did they turn out? They were fantastic. I say were, because as I predicted, they didn’t last the day. But they were soft, a bit gooey, and really hit the spot. And for all you chewy-brownie lovers out there, they did firm up a bit after they cooled. 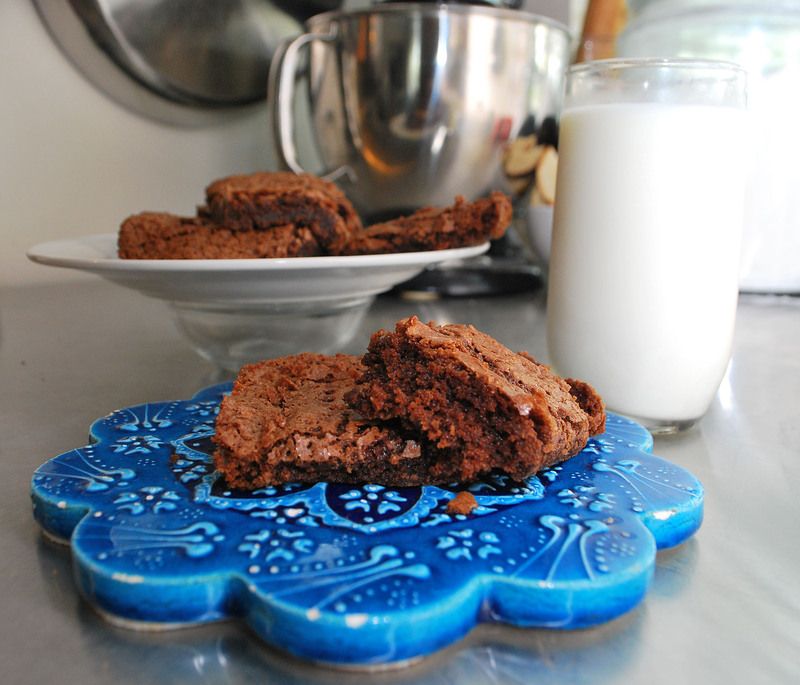 In the future, since the brownies don’t rise at all, I may opt for the smaller dish, and get thicker brownies. Just the same, I would say, as someone who doesn’t make sweets all the time, that these were simple, and used few enough dishes, to be something I could make everyday. Certainly weekly, since we don’t want to be indulgent…. After all, the recipe only makes six! Melt butter in a small pot on the stove. Once butter is melted,remove from heat, and add vanilla, sugar, and egg. Whisk constantly until smooth. 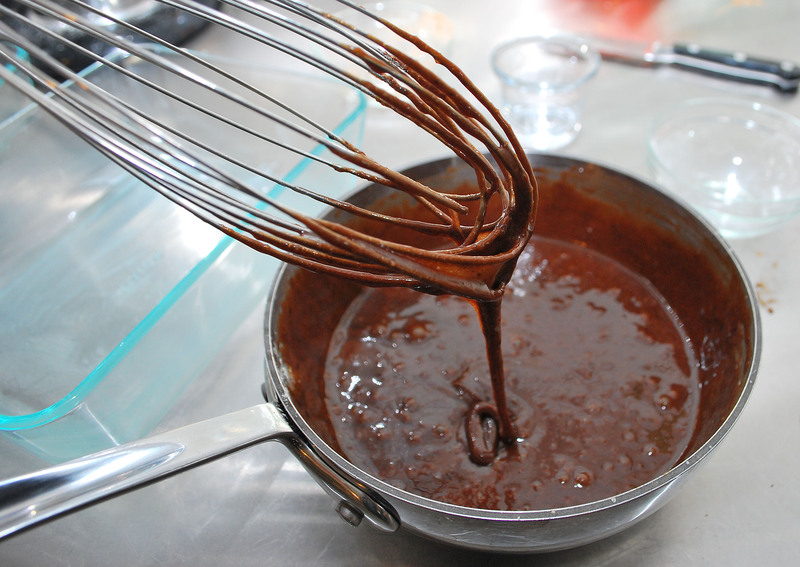 Add the rest of the ingredients to the pot, and whisk until fully combined. 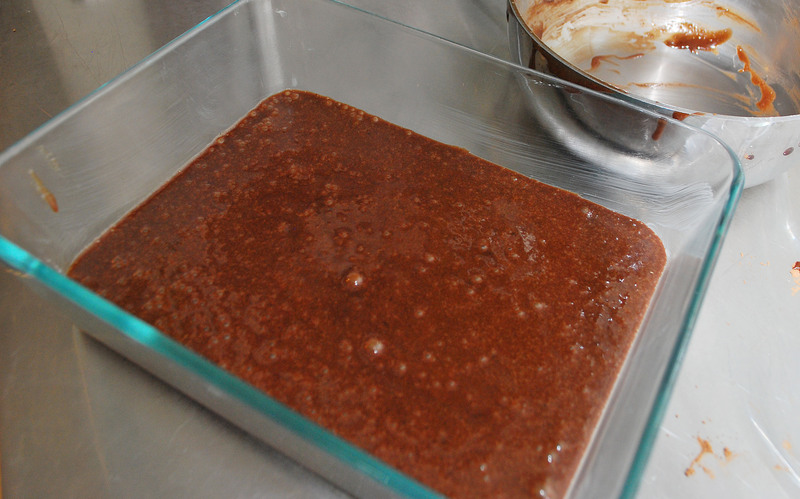 Pour batter into a buttered 41″ square pan, or in my case, an 8×6 pan. Just get something close. Bake for approximately 25 minutes, or until a toothpick comes out clean. Allow to cool before cutting, or eat them gooey right out of the pan. Just remember they’re HOT! It was rough; you don’t have to tell me. I couldn’t wait to get at it with the lawn mower. But just before I did, I decided to harvest some of my bountiful crop. No, really. I served it up with dinner! 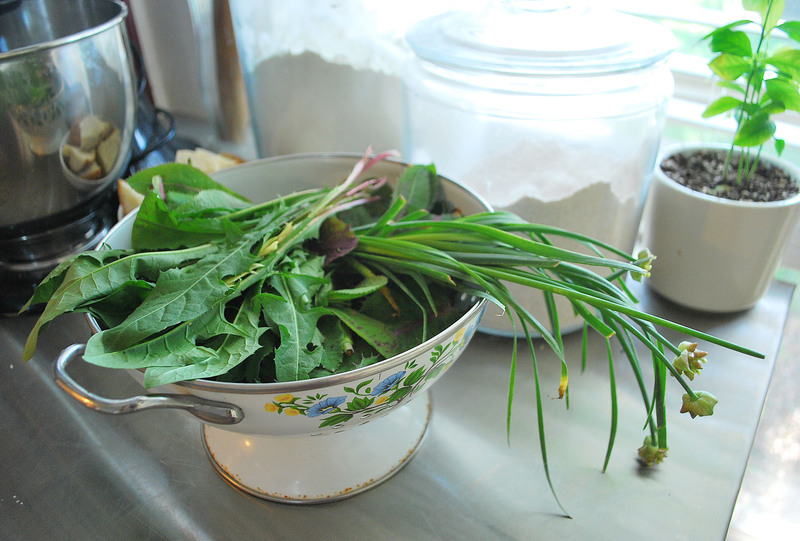 I walked around and picked leaves from my dandelion plants, and then pulled a few of my wild onions. You see, we don’t treat our yard with weed killer, as the above photo attests, and so all our plants are safe to eat, providing they are edible plants, of course. Dandelions are edible, and of course wild onions are. Just the same, I did some research after I picked my salad. According to Wild Man Steve, dandelions are not only safe, but also very good for you. I even came across a French recipe for Cream of Dandelion soup, and we all know how the French are about their food! All the leaves shown came from my yard. All of them came from plants that have yellow flowers, and white, puffy seed balls. But, they are not all dandelions. Dandelions keep their leaves close to the ground, and don’t get very tall. 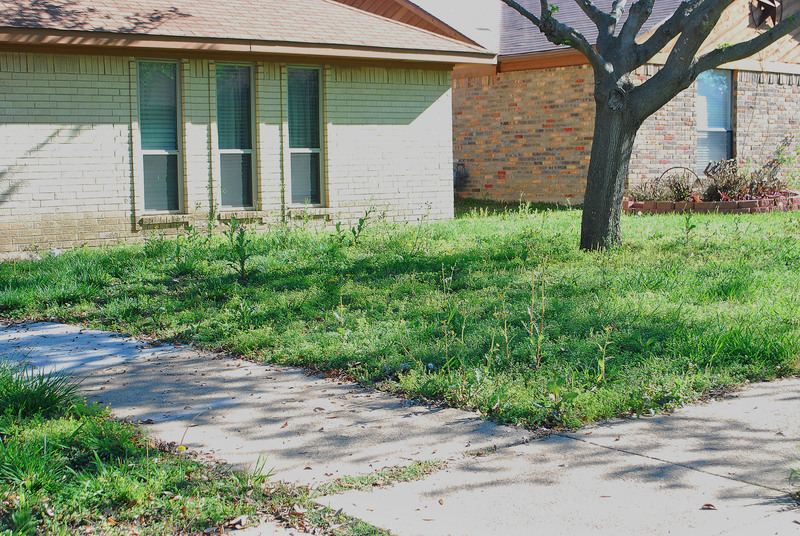 Remember those knee-high weeds in my yard photo? Not dandelions. Dandelions also only sprout one flower per plant, at a time. So you see that plant above with the three flower buds? Not a dandelion. 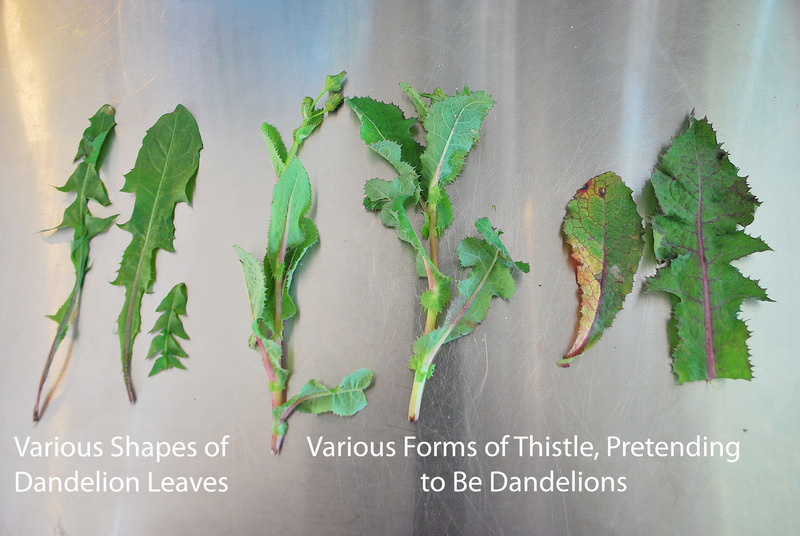 And finally, dandelion leaves are soft, and leafy. 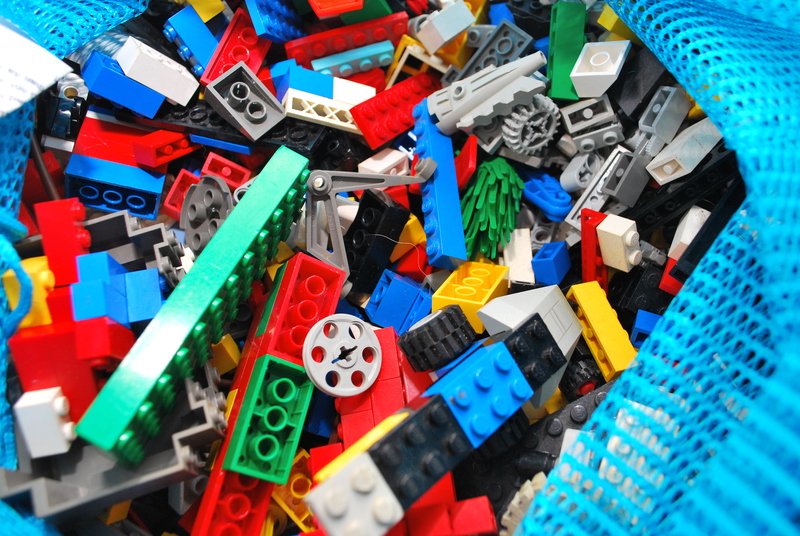 They aren’t hard, waxy, or spiny. If you see a plant with a yellow flower, and the leaves prick you, then pull it out, but throw it away. All the dandelion look-a-likes are thistles, and not the delicious kind of thistles, like artichokes. No, you don’t want to eat these. But the real dandelion leaves are tasty. I turned mine into a salad, with a bit of oil, vinegar, and wild chives. I even added some pepperoncini and shaves of parmigian for a little kick. 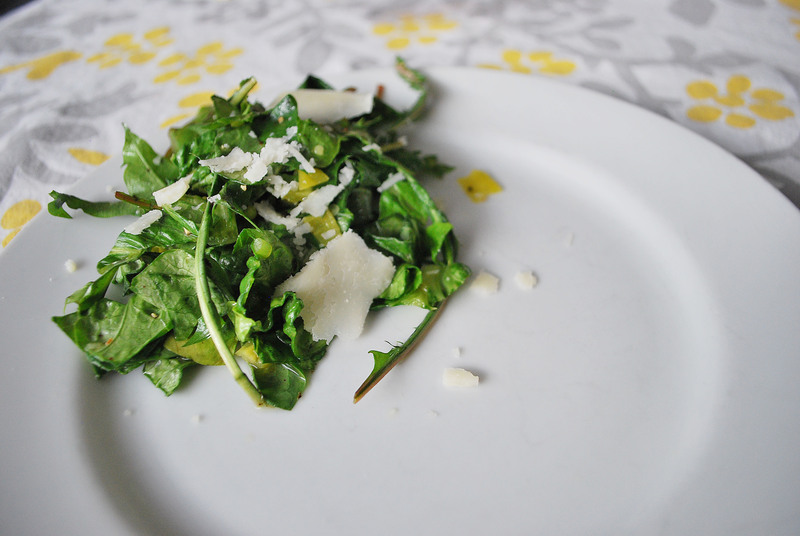 So the next time someone says weeds, remember, it could just be a salad, waiting to happen. I make flat bread all the time. 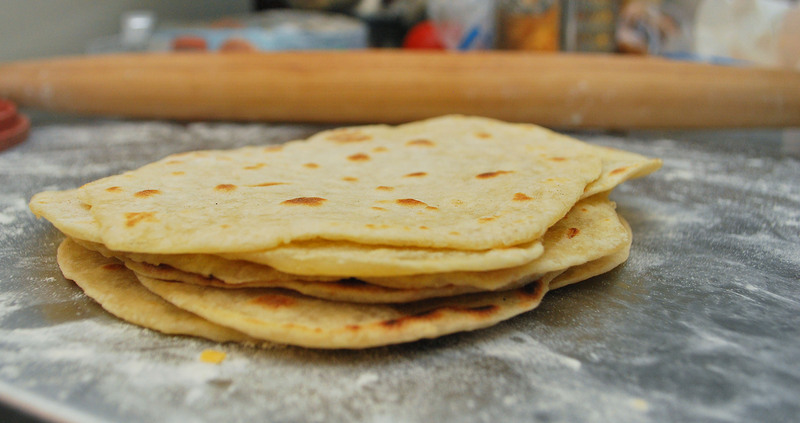 I’ve shared with you my Pita Bread, but for some reason, I have never posted my tortilla recipe. This is pretty hard for me to believe, since I never buy flour tortillas, and I apologize for letting you all down. Why don’t I buy flour tortillas? When I was in sixth grade, a woman, who was watching us over the summer, made some flour tortillas for her family, and her daughter and I snuck one out of the kitchen. I have been haunted by that disk of perfection ever sense. It was warm, fluffy, butter, and amazing. Once I had a house of my own, I looked for a tortilla recipe, but found only corn tortillas. I ask various Mexican friends for a recipe, but none of them came through. Then, my luck change. My mother sent my a book entirely about native flat breads, titled Flatbreads and Flavors. Towards the back of the book was a recipe for Wheat Flour Tortillas. I tried it as soon as I could. 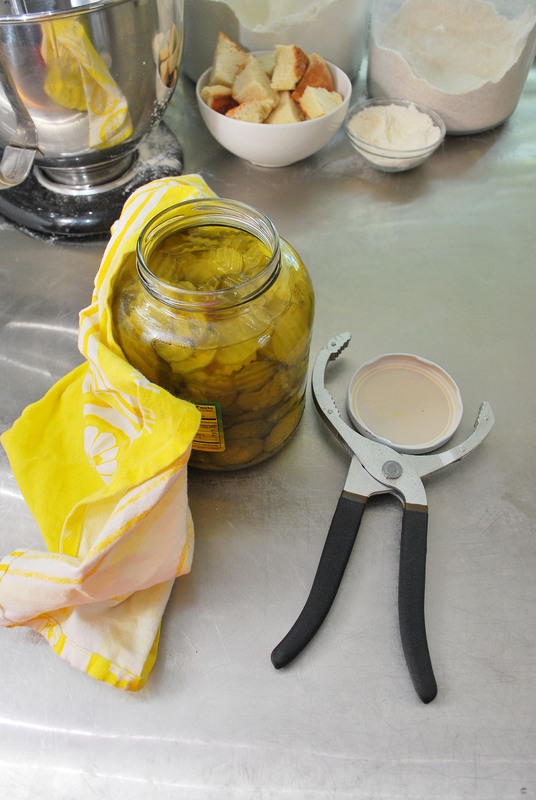 The recipe used corn oil, flour, and salt. After the first taste, I knew it wasn’t quite right. The tortillas were tough, and bland. Since it was the only recipe I had seen for flour tortillas, I tried to work with it. I doubled the salt, and that helped a lot, but they still weren’t quite right. 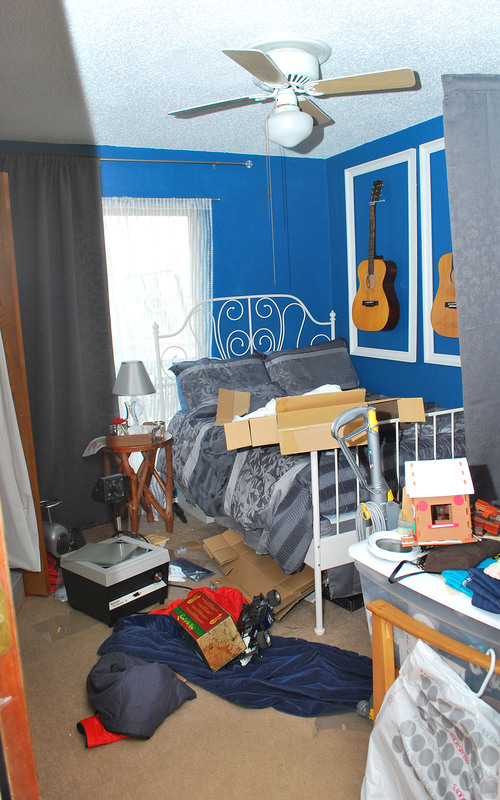 A minor breakthrough happened about two years ago. My step-brother was getting married to a delightful, and thankfully understanding, Mexican woman. With her as translator, I spoke with her grandmother about my flour tortilla dilemma. Her grandmother shook her head when I mentioned the recipe called for corn oil, and said, “No!” Then she describe what was either lard, or Crisco. My new sister-inlaw wasn’t quite sure. So I switched to lard, since to me, that seemed more authentic. It helped dramatically, and I used the substitution happily. But something was still missing. My tortillas weren’t as buttery as I remember my stolen treat from sixth grade. I decided to try something on my own. I switched the lard out with actual butter. The first attempt wasn’t exactly a success, but it wasn’t a failure either. With an exact substitution, the tortillas came out crispy. They tasted just like I wanted, but you couldn’t fold them in have, which I would say is a must for flour tortillas. Then I decided to whip up a batch of tortillas for lunch one day, and didn’t get out my recipe. I thought I’d wing it. I added butter until I thought the flour looked right. Perfection! 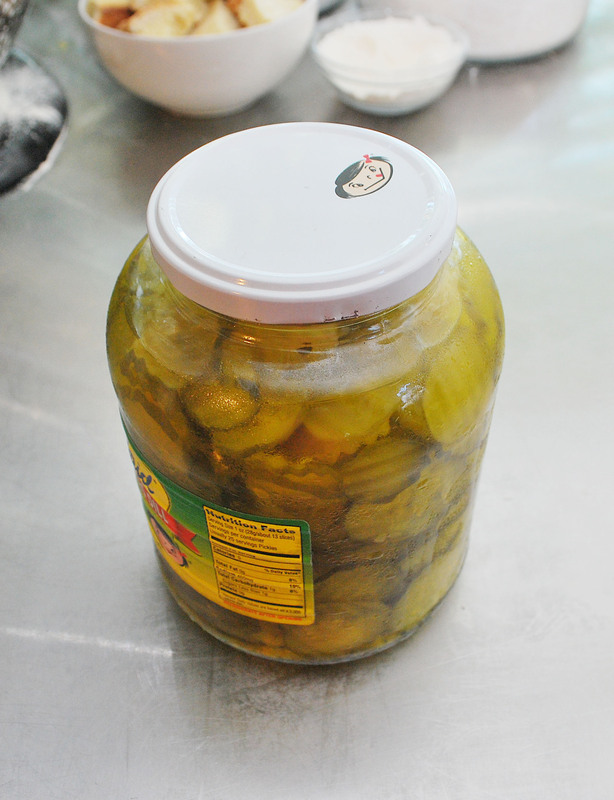 So here’s my own, personal recipe, developed the only way one can…. through trial and error. Then add 4 TBS of butter. 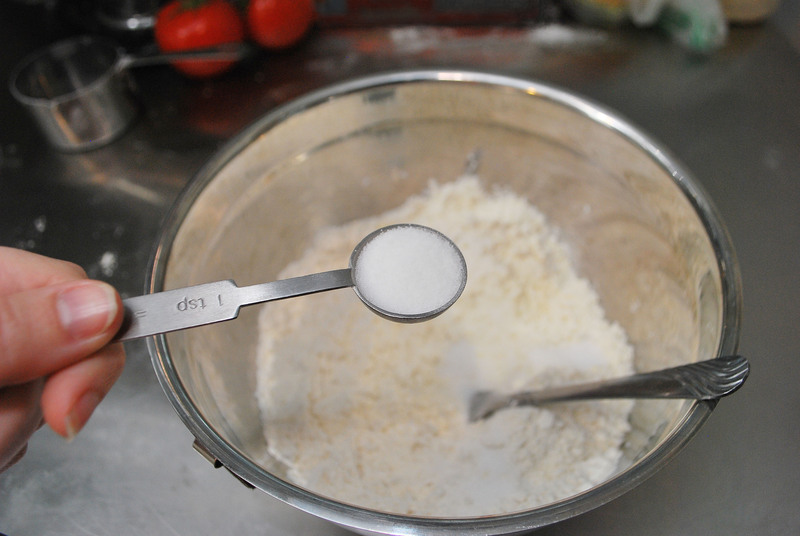 Work the butter into the flour with a fork, until it resembles coarse meal. Once the butter has mixed in thoroughly, add 1/2-3/4 cup of warm water, and when I say warm, I mean colder than your shower, but hotter than room temperature. 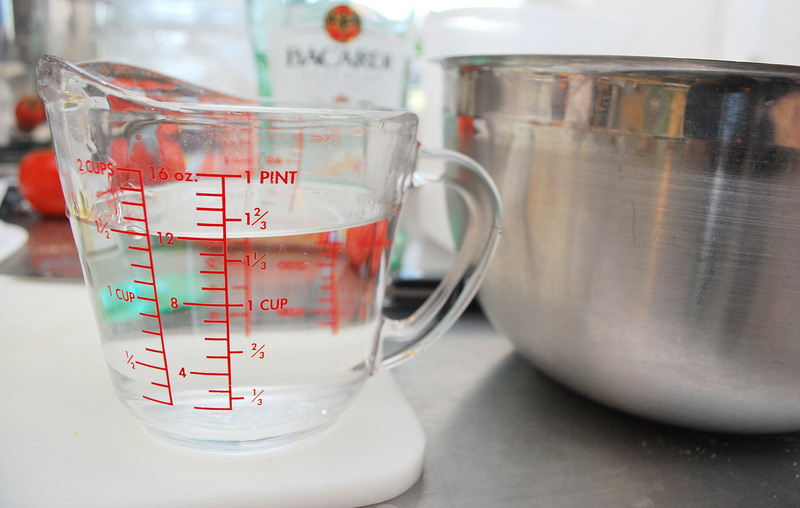 It is also important that you add the water a bit at a time because it is very easy to add too much water. 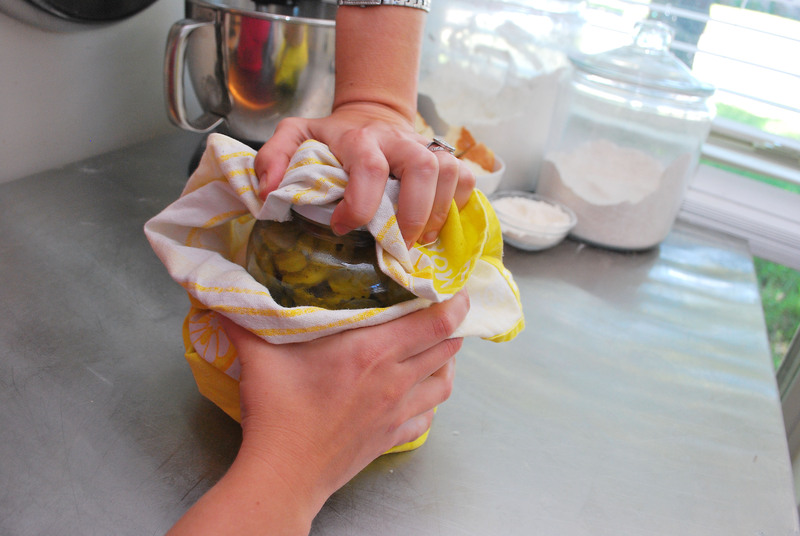 Once a sticky dough has come together, begin mixing, and kneading, with your hands, while adding the rest of the needed water. 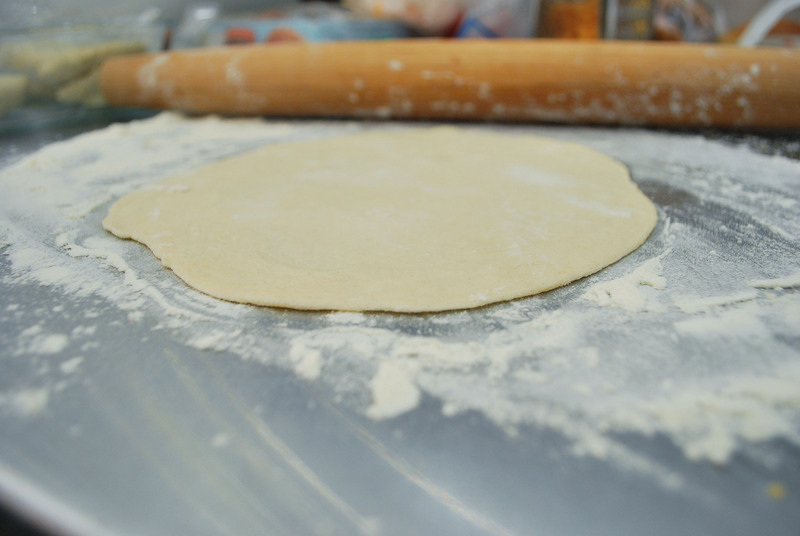 What you are aiming for is a dough that is sticky enough to stick to your fingers, and to a surface, but not so sticky that it pulls apart when it does stick. 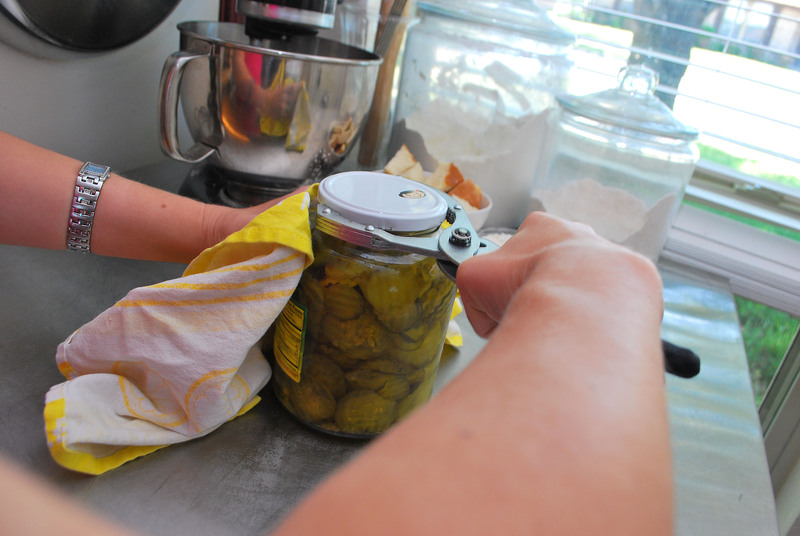 You want the dough to stick to itself more than it sticks to other stuff. I know this isn’t a great explanation, but it’s a feel thing, and Al Gore didn’t add feel-o-vision when he invented the internet. Once you have your dough, separate it into 8 equal pieces. Roll each piece into a ball, and then flatten with your hands. 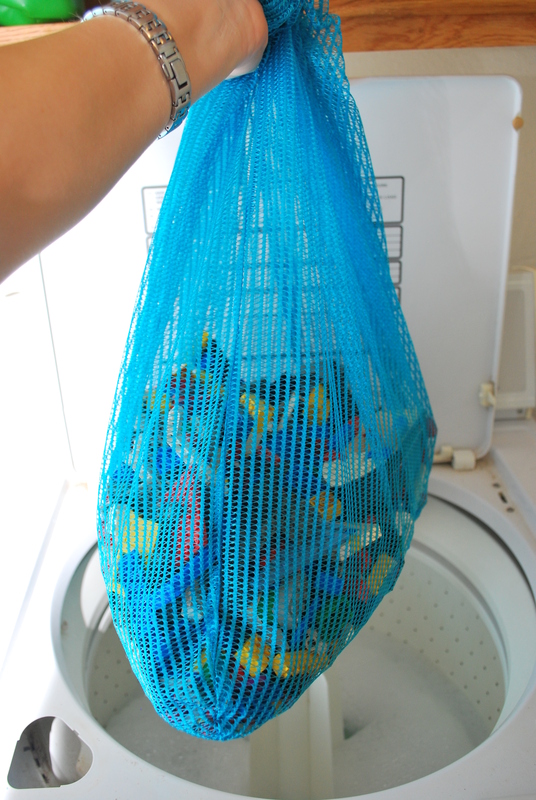 Cover these, and allow to rest for 30 minutes. 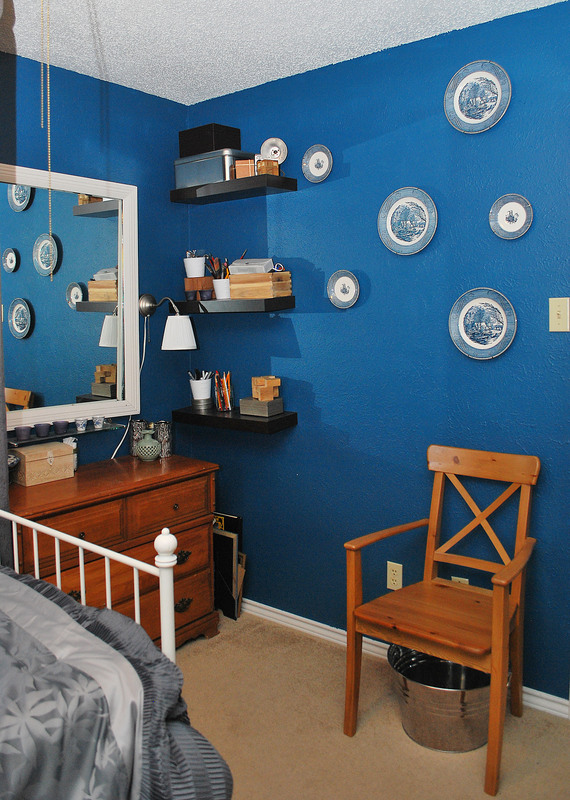 And no, they will not be perfect little circles like the store bought ones. They will, however taste soo much better. 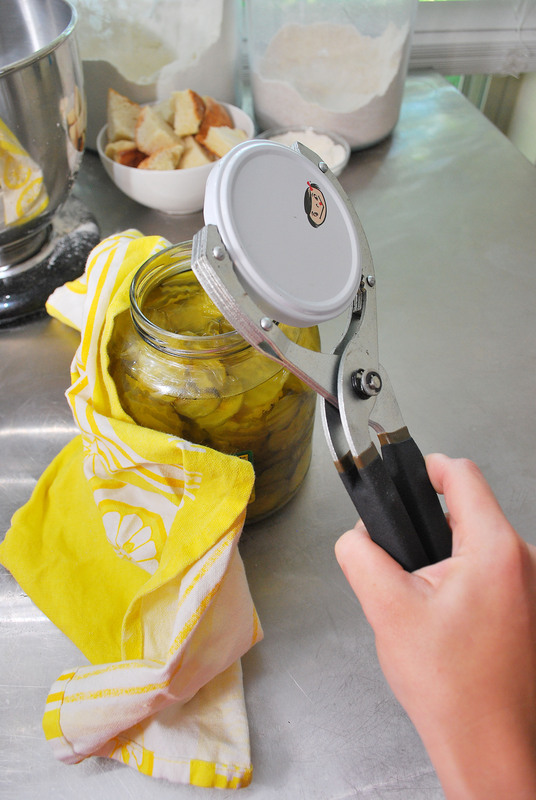 I will aslo warn against a tortilla press. I have one, and it does not work on flour tortillas. 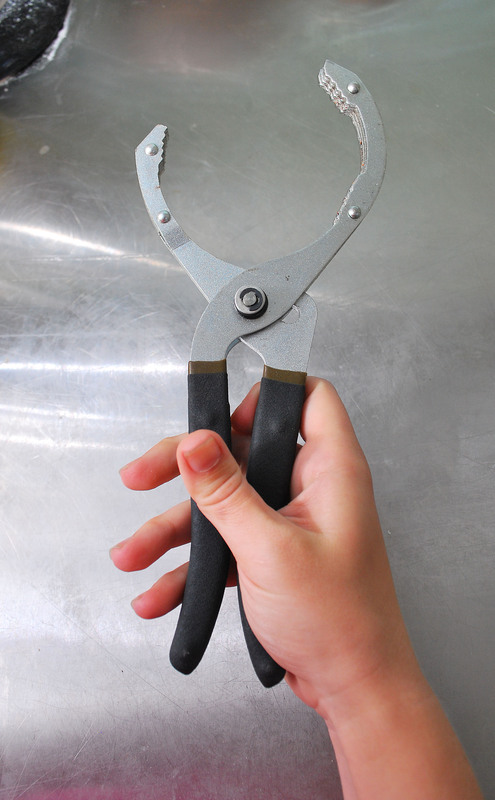 They are meant for corn tortillas. Son uses mine for play dough, now. 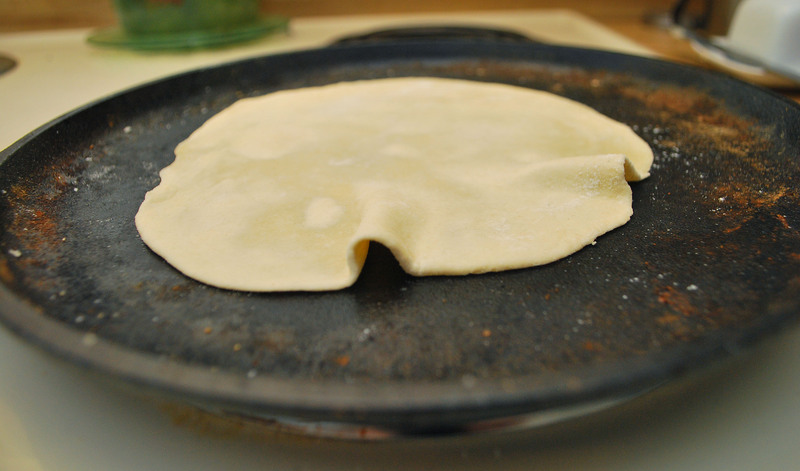 After the tortilla is rolled, gently place it onto your hot, dry griddle. While it cooks, you should have just enough time to roll out another tortilla. The tortilla on the heat should begin to bubble a bit, and this is when you should flip. However, if you check, and see the tortilla still hasn’t browned in spots, then don’t flip it yet. Also, tortillas can be like pancakes and crepes; the first one may need to be tossed. And if you happen to have your heat too high, take too long rolling out another tortilla, or become engrossed in a cat fight on one of those housewives show, and your tortilla burns in spots on one side, don’t worry. In most cases, you can simply remove the burn spots, and everything is fine. Just flip the ugly side down, and no one will know. And one last tip. You will need to keep your tortillas warm. Sure, you can wrap the stack in a couple of towels, but a tortilla box really does work wonders. They are ugly as sin, but they really do work. Maybe I should design a line of attractive tortilla boxes. I bet Target would buy ’em. Of course, that will have to wait, because now I want tortillas. 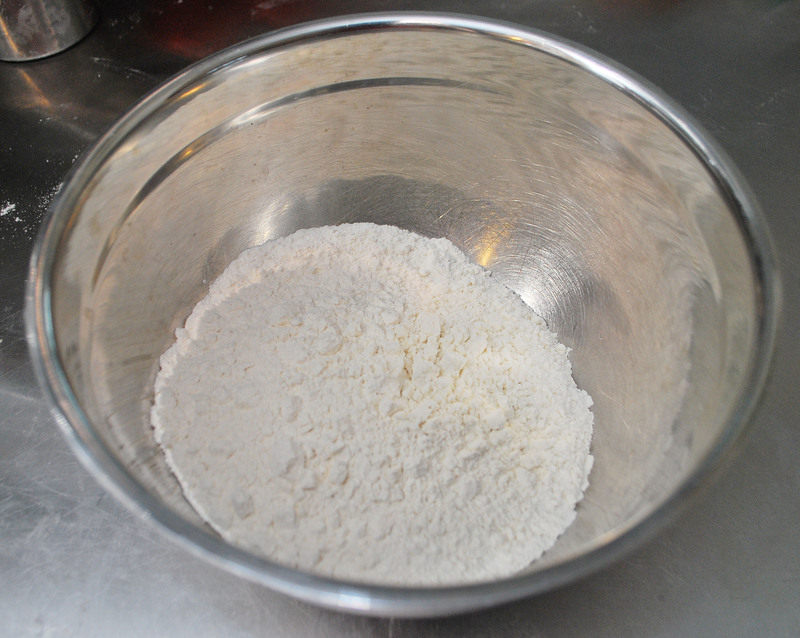 Put flour into bowl, and add salt. Stir to combine. Add Butter, and mash with fork until it resembles coarse meal. 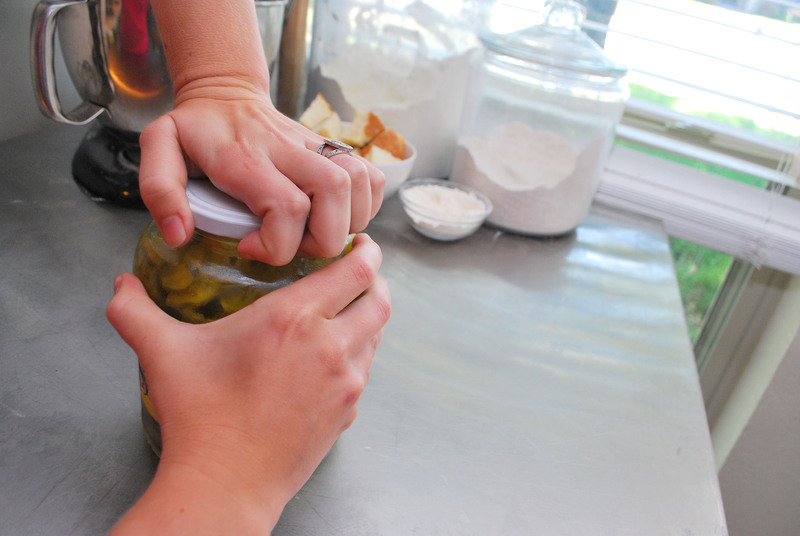 Add water slowly, mixing with hands to ensure the proper mixture. Do Not Add Too Much Water. 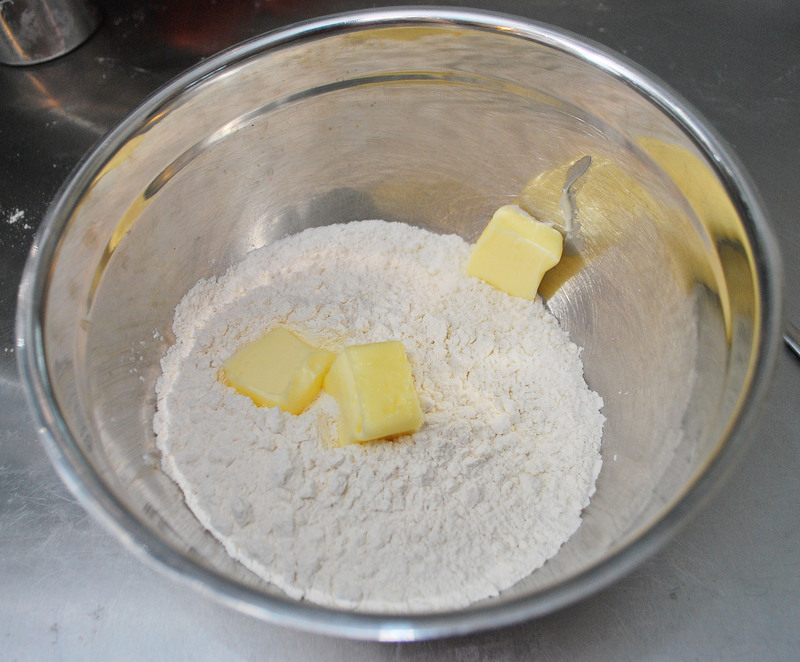 Divide dough into 8 balls, and flatten with hands. Cover, and allow to rest for 30 minutes. Heat cast iron skillet or griddle to medium-high heat. Flour counter and rolling pin liberally. 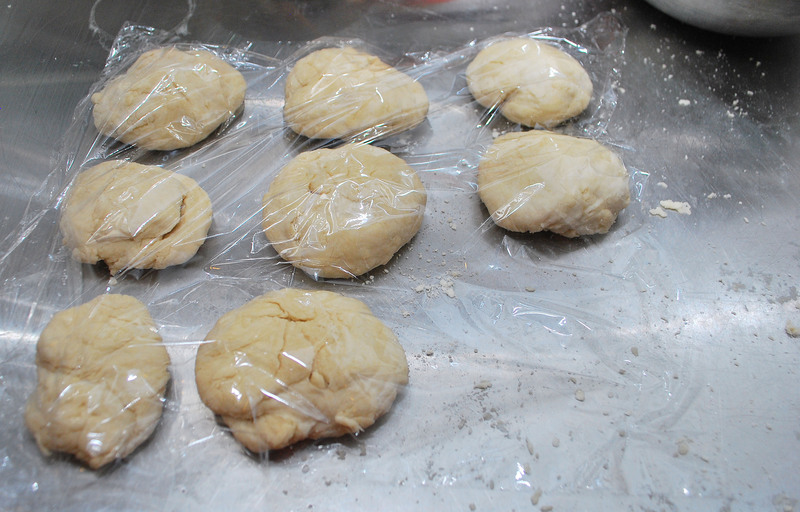 Roll dough balls into 1/4-1/8 inch flats. Place one tortilla on griddle. Cook until browned in spots, and flip over. 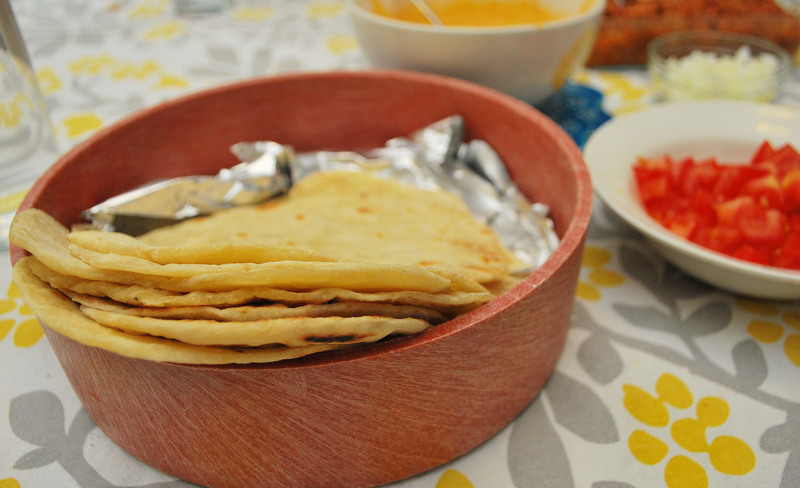 To keep warm, place in foil wrapped with towels – or a tortilla box. Just like Jerry Jeff Walker, I too love that Sangria Wine, and since last weekend was our Texas Independence Day party, I made a double batch. 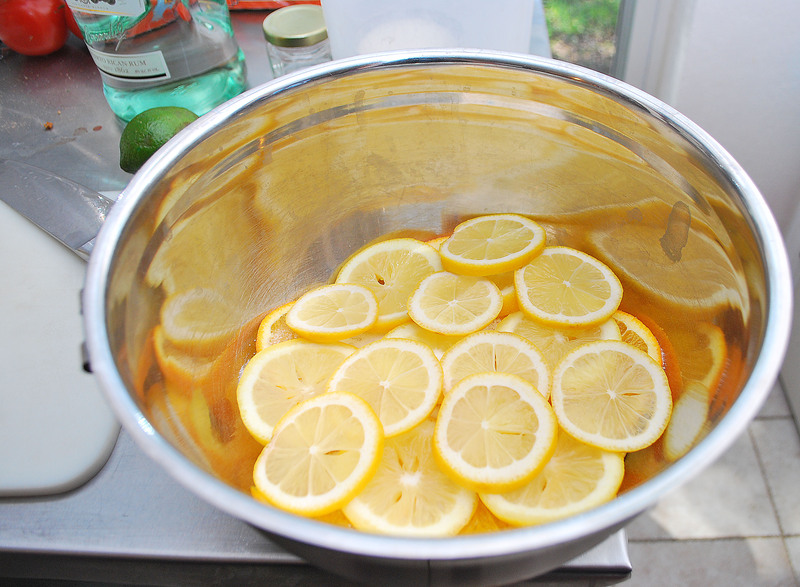 It always starts the same way, with two lemons, two oranges, two limes, one cup of sugar, and lots of rum. Slice the oranges, and lay them out in a bowl. 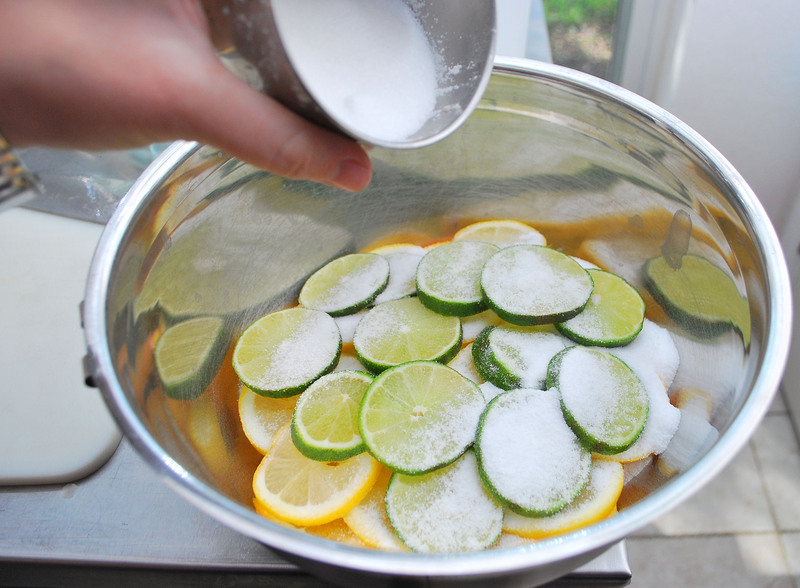 Sprinkle with sugar, and then top with sliced lemons, more sugar, and then the sliced limes, and more sugar. …That’s 1.5 cups measured out twice, and pour it over the fruit. Muddle a bit with a wooden spoon, cover, and refrigerate for at least 2 hours. I always make this in the morning, and let it meld all day. Just before you are ready to serve, add 2 cups of orange juice, and two bottles of red wine. 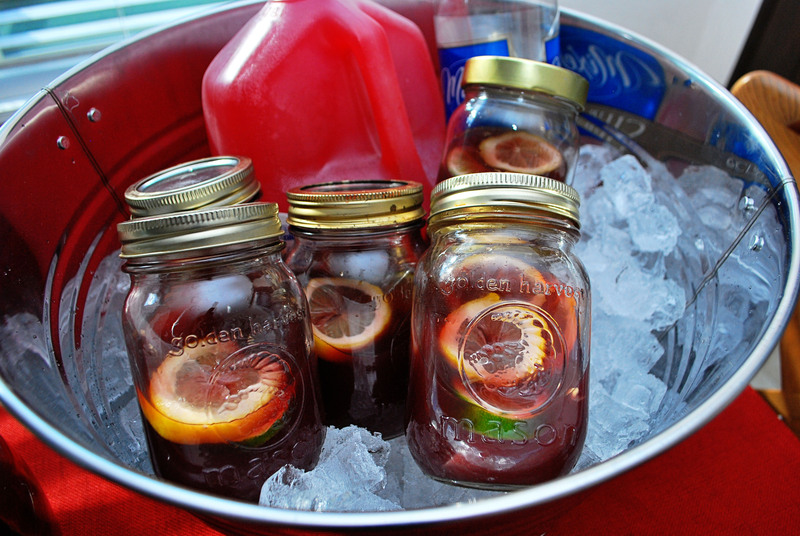 Since it was a party, I chose to serve mine in mason jars. 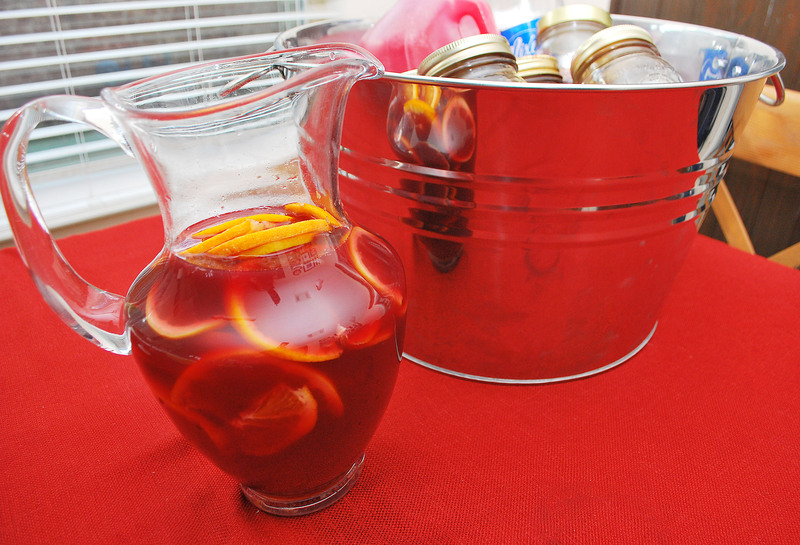 Since I like my sangria festive, and a bit less of a punch in the face, I top each serving off with a bit of club soda. 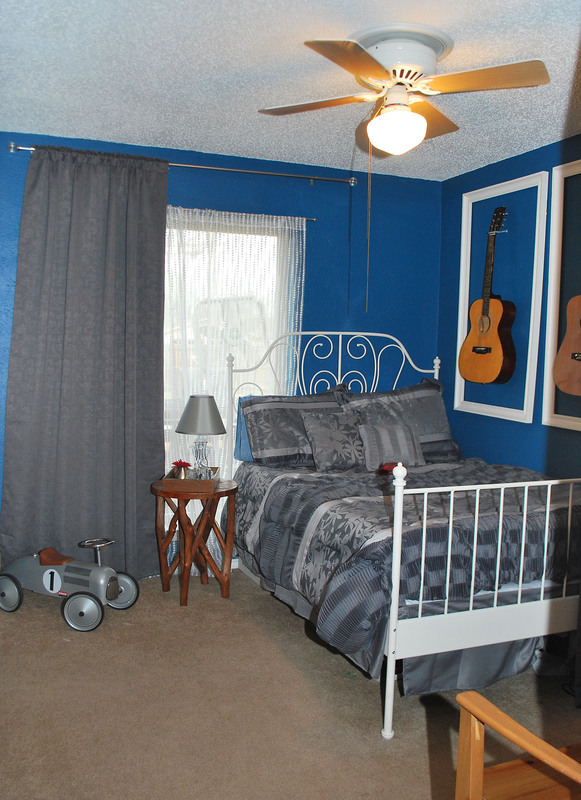 Of course, it was a hit! We finished off the double-batch before the night was over. In the past I’ve gone ahead and made more at the last minute, but this year, we all opted to wake up headache free. Layer the fruit in a large bowl with the sugar. Muddle lightly with a spoon to release a bit of the juices. Add 3 Cups of White Rum. Muddle more, and add 2 cups orange juice, and red wine. Mix with club soda to taste, if desired.